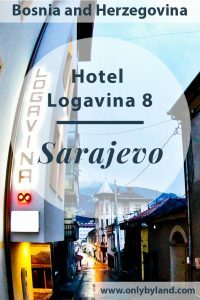 You should consider Hotel Logavina 8 if you wish to stay in a welcoming hotel within walking distance of all important Sarajevo attractions. Visit the Hotel Logavina 8 website for the best room rates. For the latest events and pictures check the Twitter, Facebook and Instagram feeds. 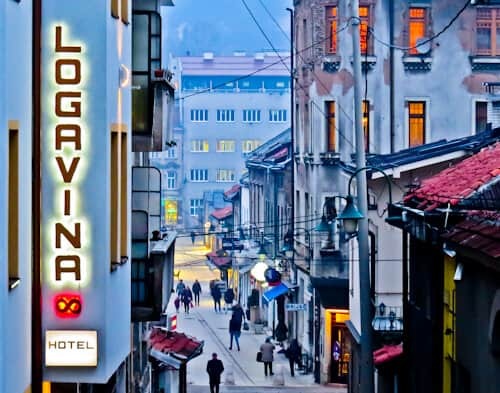 Hotel Logavina 8 is located in a quiet street, 100 yards from the famous Old Town of Sarajevo (above). Sarajevo Old Town is the most visited part of the city. You’ll find an endless amount of restaurants in addition to the museums and popular sites of the city, all within walking distance. 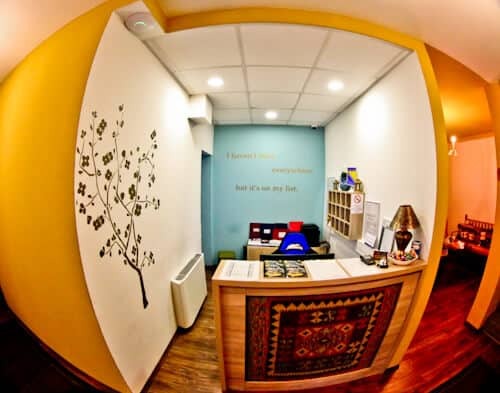 At check in you’ll receive a family like welcome to Sarajevo. You can pick up a detailed Sarajevo map and the check in staff will be happy to circle the points of interest. They’ll also explain how to get there, nearly all points of interest of Sarajevo are within walking distance of the hotel. Be sure to ask about day trips. It’s possible to arrange day trips to Mostar, Kravice Falls and Blagaj. Additionally, custom day trips can be arranged. I planned to visit Srebrenica and organized a day trip. As well as the Srebrenica tour, I wished I had taken a trip to see the Bosnian Sun of the Pyramid Park. Another notable point of interest which would warrant a day trip is the UNESCO bridge in Visegrad. It’s important to mention there are some delicious candies on the reception desk. Make sure you take a couple each time you pass! Something I found exceptional about the guest room was the number of plug sockets. There are 2 for each bed. You won’t struggle to keep your devices fully charged during your stay. The complimentary hotel WiFi is fast and extends to all guest rooms. As well as the WiFi, you can enjoy cable TV channels in English on the flat screen TV. 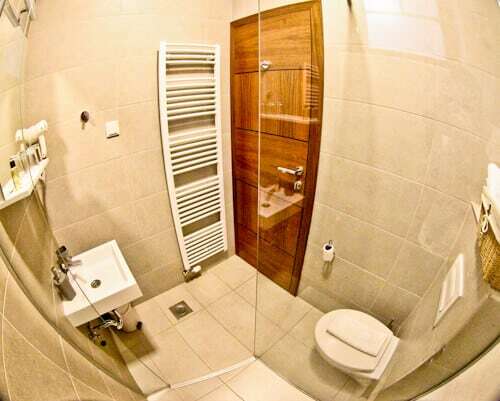 The en suite bathroom comes equipped with walk in shower, shower amenities and a hairdryer. There is a towel heater which ensures you dry off in luxury with a warm towel. 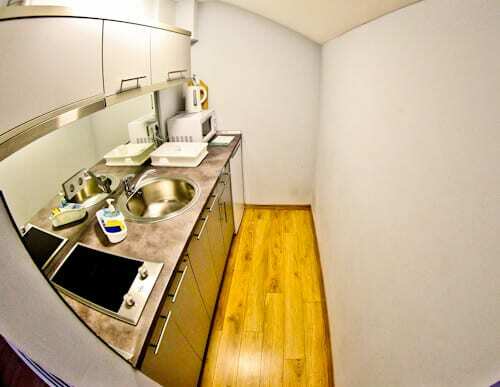 It’s possible to book a guest room with a private kitchen. This is perfect for those with dietary requirements. As a result of the kitchen, the hotel is vegan friendly, vegetarian friendly and halal friendly. It’s also family friendly as you can keep your kids happy by cooking them the food they prefer. The hotel has an outdoor terrace to relax in (above). In addition, there’s an indoor terrace next door to reception for those colder days. You’ll also find an area to relax in outside of reception (below). In this outdoor terrace there’s an interesting mural showing how the street looked years ago. 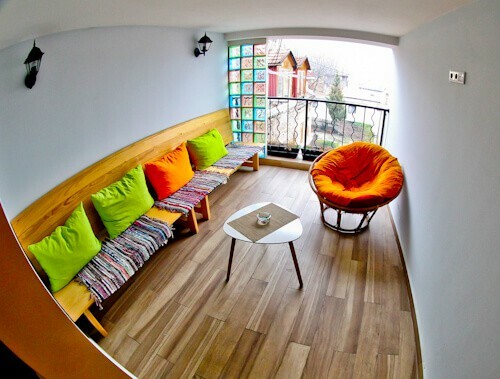 Enjoy staying in an excellent Sarajevo location and being able to walk to the points of interest. Also be sure to inquire with the staff about day trips outside of Sarajevo as Bosnia and Herzegovina is a beautiful country. Visit the Hotel Logavina 8 website for the best room rates. For the latest events and pictures check the Twitter, Facebook and Instagram feeds. The location of this hotel looks perfect in old town. I like the idea of being able to walk to major Sarajevo attractions. The custom day trips sound perfect too! Hi John. 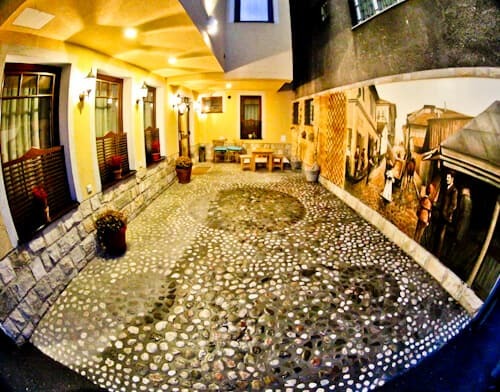 The location is perfect for exploring Sarajevo, then the customized day trips perfect for exploring Bosnia, definitely the place to stay – it’s good value too.